*This creates a larger, more Brilliant light show for your viewing entertainment. *Best choice for proposing, wedding, party, camping, daily use, etc. 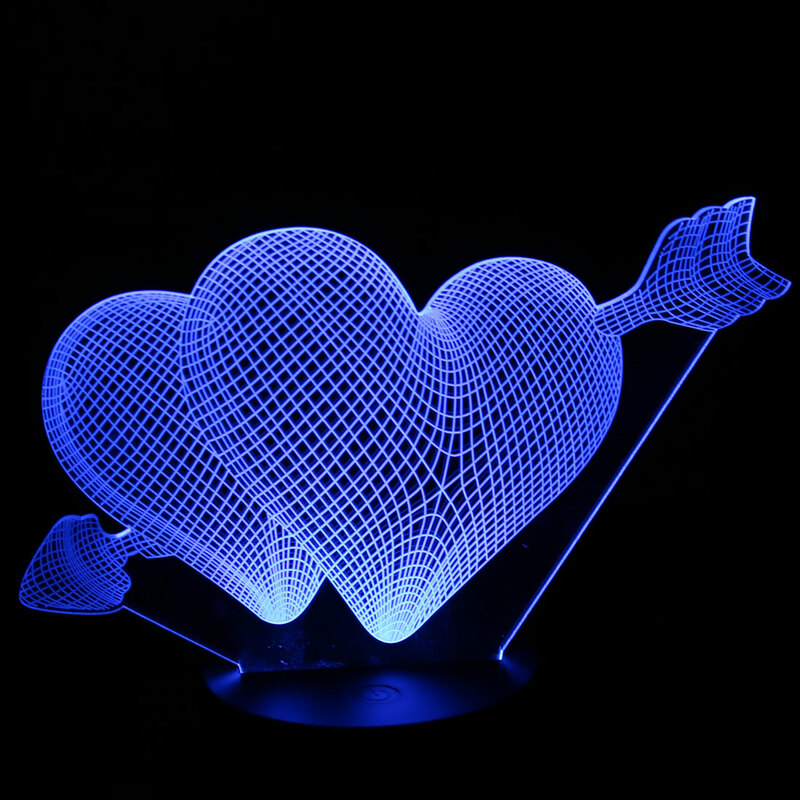 1. color changing lamp - ideal for home decor, as night lamp, decor item or a toy. 3. premium design pattern on a see-through clear acrylic plate. 4. The lamp powered by USB to allows you to connect the lamp to your PC, Laptop or any USB port. 5. superior finish of the lamp - ensures elegance is maintained in any place it is used. 6. durable design - build to provide a long life. A. 3D stereoscopic effect: laser sculpting; more than 95% light transmittance. C. Automatically color changing mode. Press the touch button to last color, then press it again, auto color changing mode works. F . Using USB Cable power supply,Touch the button control the color change of the 3D lamp.